What are you reading? 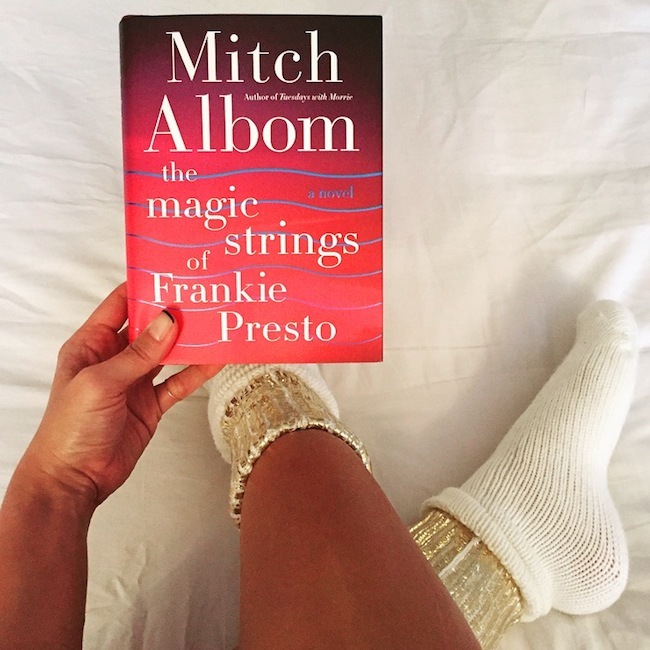 I just finished The Magic Strings Of Frankie Presto by Mitch Albom It was moving. Inspirational. The type of book you don't want to end, because your enjoying the story too much! Claimed to be 'The Forrest Gump - like journey through the world of music.' I second that! Have you read Mitch Albom's older hit Tuesday's With Morrie? Another fave of mine. If you loved that I'm sure you will enjoy Frankie Presto's story; a man who changes people's lives through the power of music. The message I grasped that has stuck in my head is that everyone has a purpose in life. We are all born with a gift that is mean't to be shared with others, which we need to learn to utilize. What is your gift? Mine is GIVING. Love this guys writing. Now though, what book can live up to this one's clout? Tell me! Need to find good company to tag along with me on a long flight next week. Tips? Anyone, anyone?! !